Product prices and availability are accurate as of 2019-04-14 23:04:39 EDT and are subject to change. Any price and availability information displayed on http://www.amazon.com/ at the time of purchase will apply to the purchase of this product. 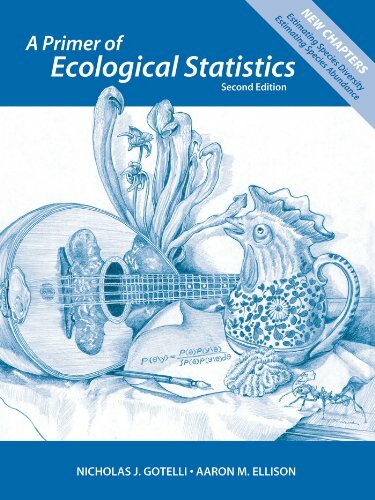 A Primer of Ecological Statistics, Second Edition, explains fundamental material in probability theory, experimental design, and parameter estimation for ecologists and environmental scientists. 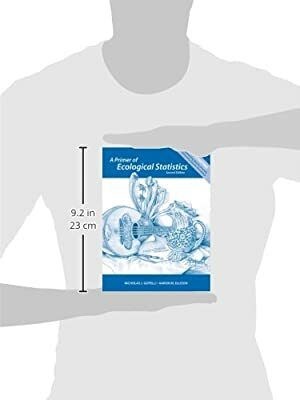 The book emphasizes a general introduction to probability theory and provides a detailed discussion of specific designs and analyses that are typically encountered in ecology and environmental science. Appropriate for use as either a stand-alone or supplementary text for upper-division undergraduate or graduate courses in ecological and environmental statistics, ecology, environmental science, environmental studies, or experimental design, the Primer also serves as a resource for environmental professionals who need to use and interpret statistics daily but have little or no formal training in the subject. The book is divided into four parts. Part I discusses the fundamentals of probability and statistical thinking. It introduces the logic and language of probability (Chapter 1), explains common statistical distributions used in ecology (Chapter 2) and important measures of central tendency and spread (Chapter 3), explains P-values, hypothesis testing, and statistical errors (Chapter 4), and introduces frequentist, Bayesian, and Monte Carlo methods of analysis (Chapter 5). Part II discusses how to successfully design and execute field experiments and sampling studies. Topics include design strategies (Chapter 6), a "bestiary" of experimental designs (Chapter 7), and transformations and data management (Chapter 8). Part III discusses specific analyses, and covers the material that is the main core of most statistics texts. Topics include regression (Chapter 9), analysis of variance (Chapter 10), categorical data analysis (Chapter 11), and multivariate analysis (Chapter 12). Part IV--new to this edition--discusses two central topics in estimating important ecological metrics. Topics include quantification of biological diversity (Chapter 13) and estimating occupancy, detection probability, and population sizes from marked and unmarked populations (Chapter 14). The book includes a comprehensive glossary, a mathematical appendix on matrix algebra, and extensively annotated tables and figures. Footnotes introduce advanced and ancillary material: some are purely historical, others cover mathematical/statistical proofs or details, and still others address current topics in the ecological literature. Data files and code used for some of the examples are available on the companion website. This resource includes all figures (line-art illustrations and photographs) and tables from the textbook, provided as both high- and low-resolution JPEGs. All have been formatted and optimized for excellent projection quality. Also included are ready-to-use PowerPoint slides of all figures and tables.